Politicians and policy-makers can’t ignore the rising number of vehicular deaths, and they must crack down fast and hard on the increasing road toll associated with alcohol abuse. At the request of the National Highway Traffic Safety Administration, a blue-ribbon expert group has examined not only the overall increase in road deaths — to 37,461 in 2016, a 5.6 percent rise over the year previous. The panel from the National Academies of Sciences, Engineering, and Medicine also focused on the 10,000 deaths per year attributed to alcohol impairment. The experts called these road fatalities, which are increasing in number, “entirely preventable,” and recommended tough ways to reduce booze-related deaths. The experts also called on states to hike alcohol taxes and make booze less convenient to get, cutting the hours and days that stores, bars and restaurants sell it. Doubling alcohol taxes could lead to an 11 percent reduction in traffic crash deaths, the experts said, adding that lawmakers and law enforcement also must crack down on booze sales to those younger than 21 and adults who already show signs of intoxication. The nation needs to campaign against binge drinking, and there may need to be new federal limits on alcohol marketing and increased anti-alcohol campaigns. 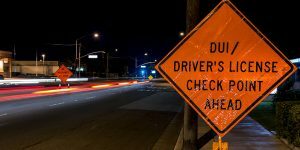 Law enforcement agencies also may wish to step up their work with sobriety stops, and working with specialized courts to ensure convicted drunk drivers stay off the road or use high-tech devices to ensure they can’t operate their vehicles while high. In my practice, I see the major harms that patients suffer while seeking medical services and the great havoc that can be wreaked on them and their lives by car, truck, and motorcycle wrecks. The United States made significant progress for decades in slashing road deaths, improving vehicle quality and safety, combatting intoxicated driving, and controlling unsafe speeds. Vehicle accident deaths fell. But the country also backslid. An improved economy has meant we’re all driving more. We’re more dangerous than ever because we’re driving too much while distracted, drunk, drugged, or drowsy. The AAA Foundation, building on some its excellent existing studies, has put out new research showing that our looking at and fiddling with cell phones while driving, especially when we text message, roughly doubles the incidence of our getting in vehicle crashes, as compared to when we’re focused and paying attention to the road and not an electronic device. This woe tends to be stronger in free-flowing traffic and in crashes in which drivers are to blame, such as rear-end collisions and wrecks in which vehicles spin or fly off the road. Please don’t drink and drive. The evidence already is mounting that the nation, struggling already with an epidemic of opioid drug abuse, also has new and increasingly serious problems to face with Americans’ excessive drinking. The consequences of driving while impaired can be severe — you don’t want to end up in a hospital emergency department, worrying not only about your own injuries but whether you’ve also hurt or killed someone else.